The Vapour-rise™ Alpine Jacket now comes with a number of new features which make this light-weight, highly breathable softshell jacket a go-to piece for summer climbing and sport use. Developed exclusively by Rab® and Pertex®, Vapour-rise™ creates breathable, high wicking and quick drying performance clothing. The Vapour-rise™ Alpine Jacket now features a fully helmet-compatible hood and anti-snag Velcro adjustable cuffs to increase an already packed feature set. 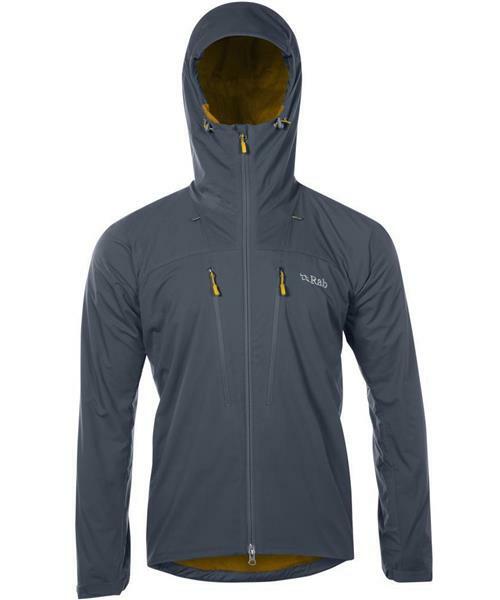 These features lend this jacket to climbing and multi-sport use in the summer months, whilst the high wicking nature of the Vapour-rise™ fabrics also enable the Alpine Jacket to be worn during the winter months as a next-to-skin layer.